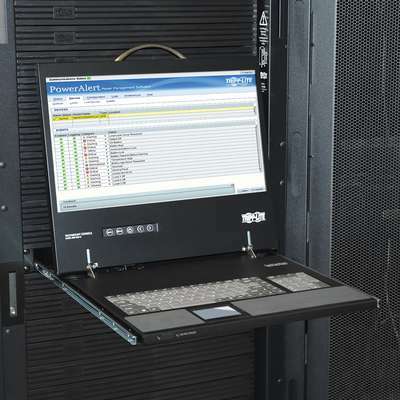 Need to add convenient rack-side access to securely manage and control your critical network systems? Tripp Lite's B021-000-19-HD Rack-mount Console is the smart solution for controlling a computer, server or KVM switch in IT applications where rack space is at a premium. The console features an integrated 19" LCD, full 88-key keyboard, and touch pad, all in a 1U rack-mountable housing. 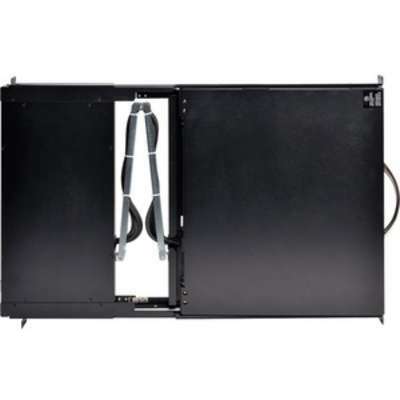 A sliding 1U drawer and flip screen allows you to store the console neatly in the rack when not in use. The B021-000-19-HD features a DVI-I port that supports either DVI Digital or VGA Analog (when using the included DVI to VGA adapter) video signals. For added convenience, the console features a USB 2.0 pass-through port for easy connection of a USB peripheral such as a flash drive or CAC card reader. Your peripheral device connects to the USB type A port on the front of the unit and your server or KVM switch (must have a USB hub port) connects to the USB type A port on the back of the unit using a Tripp Lite UR020-Series type A M/M cable. 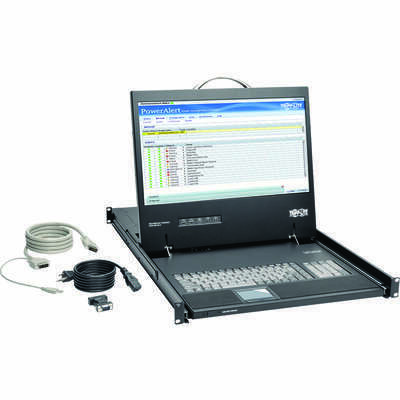 The included KVM cable kit allows for connection to a USB server or KVM switch. With its high-quality 19-in. LCD screen, premium connectors, intuitive controls and broad compatibility, the B021-000-19-HD will provide trouble-free operation in demanding high-availability environments. It is compliant with the Federal Trade Agreements Act (TAA) for GSA Schedule purchases.